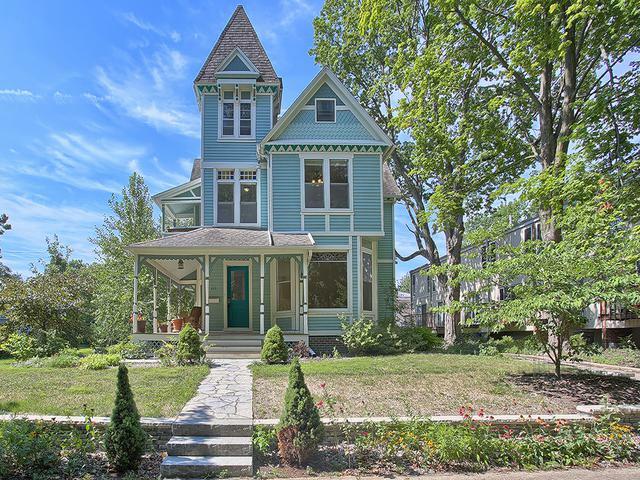 This 1890-built Queen-Anne style Victorian beauty is awaiting its next owner! Enjoy large living and dining rooms with box-beam ceilings and beautiful stained-glass windows, which cast lovely rainbows with the morning light. The first-floor bedroom is conveniently close to the full bath. The spacious kitchen boasts a pantry AND a butler's pantry. 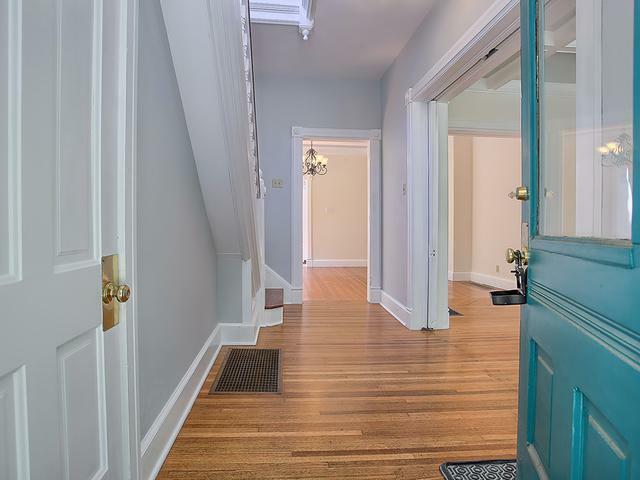 Upstairs, enjoy four more bedrooms, one currently used as a dream remodeled office with built-ins. Ample storage space in the basement and walk-up attic (with tower!). 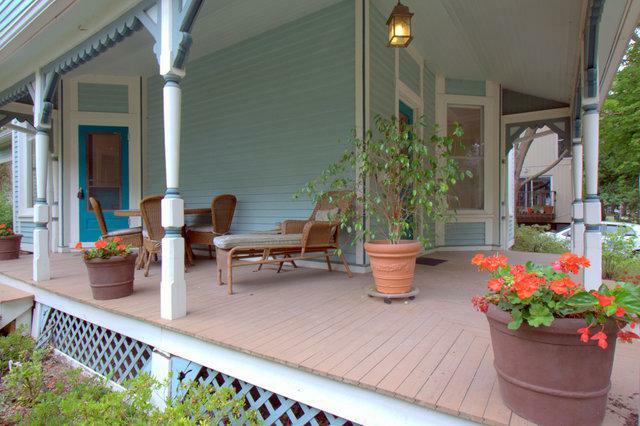 Outside, relax on your wrap-around porch or unique 2nd-story balcony. The huge beautifully-landscaped yard includes a bonus "anti-squirrel fortress" with raised beds to keep your crops safe. Many updates: siding, gutters, roof, water heater, porch, painting, basement exercise room, exterior doors, trim, masonry, concrete walks, insulation, appliances, fixtures, blinds, solar-powered garage, and much more; move right in! 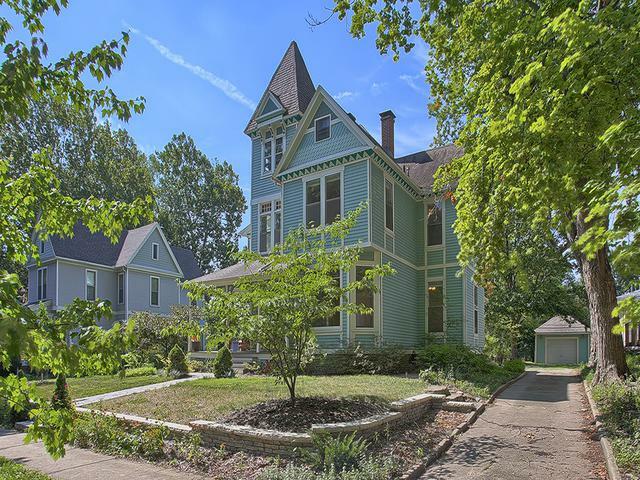 Just a few blocks from campus, downtown Urbana, and parks.